an entity, organization or agency that seeks to promote economic growth through increased export sales, improved regional productivity, the creation of new jobs, and/or increased domestic capital investment. Simply put… most qualifying “regional centers” are companies usually located in an economically underdeveloped region in the US that has been found by the government to be in need of financial investment for the promotion of economic growth and jobs. What are the advantages of investing in a regional center? No need for you to actively manage the company or investment. You invest less money. You only need to invest half the usual $1 million investment needed for permanent residency. 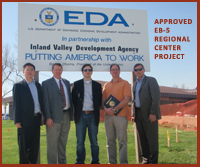 The process is usually faster and simpler to take advantage of because the regional center is already government-approved for EB-5 investors. This means that the documentation for your green card application can be ready faster and you will become a permanent resident that much sooner. If your finances permit, you can also become a permanent resident by investing $1 million in any industry or location in the US. This option offers the most flexibility for your investment. How would I invest $1 million? By purchasing a troubled business and expanding it by 140% or retaining all existing jobs for a determined period of time. You must actively manage your investment and business. What are the advantages of investing $1 million? Complete control over your financial investment and business. You have the choice to choose the type of business. You choose your employees for the business. You choose the geographic location of your business. How do I the Investment Process? Contact a Lawyer. 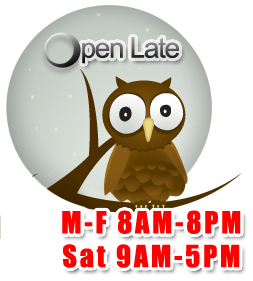 More specifically, call a Los Angeles County Immigration Lawyer from Vincent W. Davis & Associates. We can answer all of your business and legal questions and help you prepare and process your EB-5 application. Do I have to be physically in the US to invest? No. Which is very good for those with family and business interests abroad. You can invest from your home country and then enter the US as with your “Green Card” — as a permanent resident after your application is approved. On the other hand, if you are already in the US, you can invest and then receive your green card without having to return to your home country. How & when will I get a Green Card – – become a Permanent Resident? As soon as your EB-5 application is approved, you will receive a conditional green card that is valid for two (2) years. You must then file another application to remove the conditional status on your green card 90 days prior to its expiration. To remove conditional status, you must prove that your investment and business still meet all EB-5 requirements. After the conditional status has been removed, you will receive a new green card that is valid for ten (10) years. At this point your investment has paved the way for a full dozen years in the US. How long does it take to receive a Conditional Green Card? Typically – 3 to 6 months. Can I apply for US Citizenship? Absolutely! You and your immediate family members may apply for US citizenship a few years after receiving your green card. To get the EB-5 Investment Process started – contact an Immigration Attorney from Vincent W. Davis & Associates. We can help you with the entire process, from creating a new corporation or LLC to all the paperwork necessary to take full advantage of the EB-5 process.